Nutritionists and diabetes specialists often say that sugar is bad for you because it has calories. If you have diabetes or a diabetes-related condition, then having sugar will increase your blood glucose, which is a risk factor for heart disease. This is also the view of the Turkish artist Sevincy, who is going to present his works in Baku. 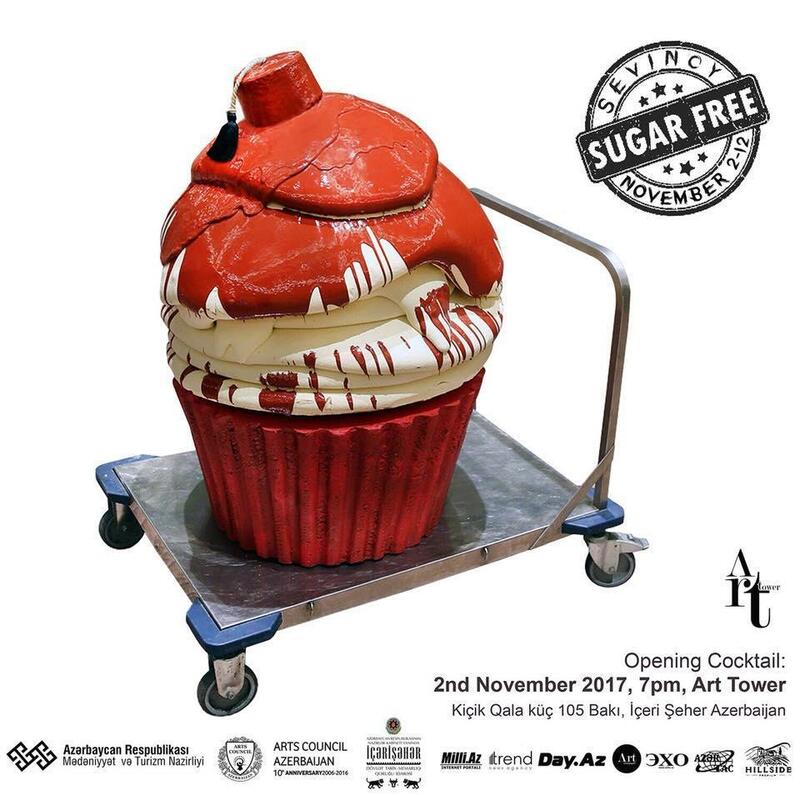 The exhibition "Without sugar" will open in Art Tower gallery on November 2, Trend Life reported. "Sugar today is the real" alcohol for children. "And as for alcohol, psychologists get used to it. Do not allow your children to become an object of the corporate industry. Through my art works I show how to live without sugar. My opponents usually say: "It is great for baking!" If you still believe it , then welcome to my show My goal is to win the battle with sugar", said artist. "My desserts just demolish the imagination, unlike traditional desserts from the "sweet poison". Often, this kind of visualization is called "cherry on the cake", I also add a fez, a symbol of the culture of our great-grandfathers as the top of my work, which is designed to protect your head from poison and decorate your life, " he added. The exhibition is co-organized with the Ministry of Culture and Tourism and the State Historical and Architectural Reserve "Icherisheher" and NGO Arts Council Azerbaijan.